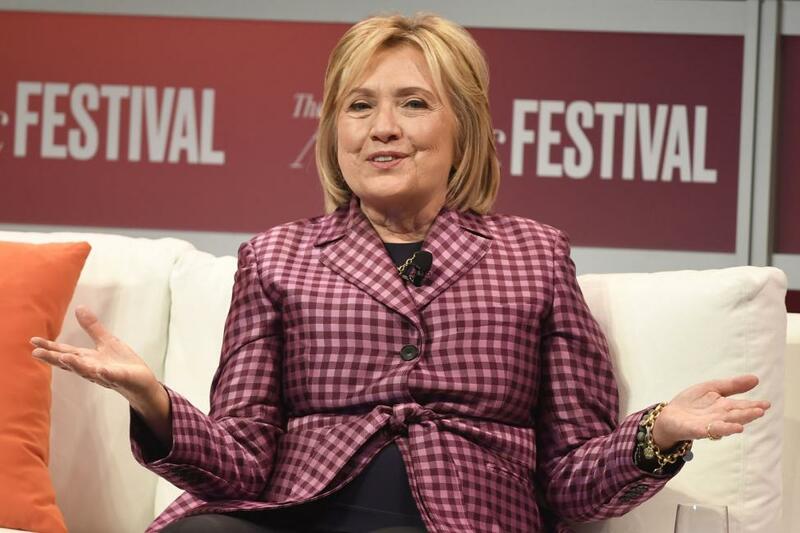 The State Department withdrew Hillary Clinton's security clearance upon the request of the former secretary of state, according to a letter released Friday. The State Department notified the leaders of the Senate judiciary committee, Sens. Charles Grassley, R-Iowa, and Dianne Feinstein, D-Calif., of the revocation in a letter sent Sept. 21. The letter said the withdrawal was effective Aug. 30, and included other current and former State Department officials: Clinton adviser Cheryl Mills and four other individuals whose names were redacted. "As we previously informed the committee, these individuals had been granted access to classified information through a request made by Secretary Clinton designating them as researchers," said the letter, signed by Charles Faulkner, acting assistant secretary of legislative affairs. In 2017, Grassley requested that the State Department review whether the aides still had security clearance. The revocations come two months after President Donald Trump withdrew the security clearance of former CIA Director John Brennan. White House press secretary Sarah Sanders called Brennan's credibility into question when announcing the move. "First, at this point in my administration, any benefits that senior officials might glean from consultations with Mr. Brennan are now outweighed by the risks posed by his erratic conduct and behavior," Sanders said in a statement on behalf of the president. She also announced the White House was reviewing the security clearances of a number of other officials who had negative interactions with Trump in the past, including Justice Department official Bruce Ohr and former FBI officials Peter Strzok and Lisa Page, who sent negative text messages about Trump to each other before his election.